House of Refuge (HOR) is a drug rehabilitation and resource center which caters specifically for the rehabilitation needs of drug and alcohol dependent persons. HOR was established in 2006, and our mission is to rehabilitate and reintegrate drug dependent individuals back to the society and equip them with life skills required to assume personal responsibility for their future. Drug dependency is an increasing problem that cuts across every national, ethnic, religious, gender, and socioeconomic divide. It carries devastating social and economic consequences through its impacts on health, functioning and overall wellbeing. At the House of Refuge we understand it is not a ‘one size fits all approach’ to drug/alcohol problems. We follow this through by providing a comprehensive, world class, evidence-based and holistic drug and alcohol dependency treatment for drug and alcohol dependent persons in Nigeria, including but not limited to detoxification, medical treatment, follow-up, counselling, psychotherapy etc. We strive to ensure that the ‘WHOLE’ man is catered for throughout the process to guarantee sustainable outcomes. In order to achieve this, we utilize a ‘multidisciplinary’ team working to encourage behavior change and build internal skills in our clients. House of Refuge, (HOR) has a residential facility, located in a serene, distraction-free environment to enable our clients focus on our program and, also to ensure their privacy is respected and maintained. At HOR, our clients can participate in counselling, psychotherapy, anger management, spiritual discipleship, and life skills training. Our methodology is Christ-centered. However, we accept clients of all beliefs and faiths. Our goal is to ensure that we are able to respond to a wide range of needs from medical, psychosocial, physical, mental, spiritual and behavioral. Pre-Rehabilitation Counselling — Here, we provide a soft landing for individuals struggling with addiction and are contemplating seeking help. Post-Rehabilitation Support — This is our non-residential program for clients who have been detoxed, and have sufficient family support to reside at their home and make periodic visits to HOR for therapy. In both categories, clients receive equivalent treatments similar to those that are in the residential program, but less intensive. The effectiveness of this program relies more on individual initiative and motivation. Addiction is a chronic illness, requiring medical and behavioral treatment, much like asthma, hypertension and diabetes. As with these illnesses, prevention is much better than treatment for the individual and the family. Thus we also engage in outreach to poor communities, schools and businesses. We provide enlightenment talks about the effects of addiction and its impacts on the person, family and society. We further provide talks on how to manage peer pressure and, to provide support for individuals struggling with addiction. The Drop–in Center treatment center catering to off the street drug users. The program provides treatment services for those who are seeking to overcome addiction. The treatment plan was designed to meet the minimum needs in term of providing care and support in a relaxed, non-residential context. The facility is opened to men and women, 16-50 years, who are suffering from licit/illicit drug and alcoholic abuse and who are in need of support and structure to achieve and maintain abstinence/sobriety while living in the community or awaiting admission to the redisential facility. Many of our clients have reported that they are poly–drug users (using multiple substances). We have found that cannabis use tops the list in most instances, this is followed by heroine with only a small percentage using cocaine. There are also a few injecting drug users patronizing the center. Though many clients accessing our services have not altogether stopped their drug usage, many have committed to and actually have reduced their drug intake. Our drop-in center is filling a much needed gap while providing free and easily accessible services for drug users. It is apparent more of these centers are needed across the country. While residential treatment can be a fairly costly form of treatment. Hence, the reason for our low cost treatment faclility that is accessible and cost effective for the low – income and financially handicapped population. The treatment is designed to develop each client’s personal strengths and the abilities, which are necessary for a successful recovery. Individual, family and group modalities are employed. A complete curriculum of substance abuse education covering the drug use disorder concept and all aspects of pertinent recovery skills is delivered to clients during their stay at the facility. 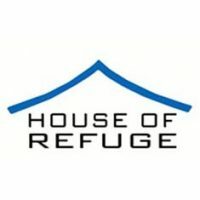 House of Refuge provides detox and rehabilitation services to individuals age 17- 59, struggling with addiction to alcohol and controlled substances such as: prescription medicine, marijuana, heroin, cocaine, crack, codeine, etc. Our residential facility currently caters to men alone. However we are seeking an additional facility to support a residential rehabilitation program for women. All prospective clients for treatment must complete this form and send it to the email address above. You may be saving a life today. Please Note: Our residential rehabilitation program is NOT free of charge. We do ask clients to pay a subsidized fee that goes towards medical and professional services provided. Kindly contact us for more information about fees, sponsorship and payment plans. Whatever the substance of abuse, the pattern of progression from use to abuse to dependence typically begins with the first rewarding experience with a psychoactive substance; a rewarding experience usually results in a person’s seeking another rewarding experience.